Jewelry boxes are one of the most useful gifts that you can give to someone you love. 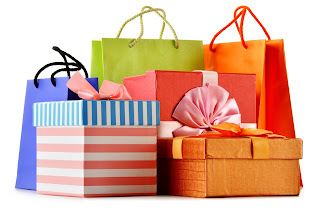 Most people think that jewelry boxes are appropriate to give only at birthday and Christmas. While those are the most popular occasions, there are also several other opportunities that your loved ones will be pleasantly surprised when they open up your gift and find a jewelry box from Chasing Treasure. Job Promotions: When women receive their first major job promotion, it is time to celebrate. Big promotions at work mean that women have more discretionary money to spend, so they can start to build a collection of jewelry. Receiving a luxurious jewelry box like this Solid Cherry Hardwood Jewelry Chest in Mahogany Finish proves that she has arrived. If she travels with her new promotion, one of our traveling cases will let her take her accessories on the road with her. After a Performance: If you have a daughter who loves to dance or perform music, our pretty little ballerina jewelry boxes are perfect gifts to give. Hard work is worth celebrating and our collection of ballerina jewelry boxes are appropriate for girls of all ages. Your daughter can save her precious pieces of jewelry in a box that she will be proud to own for her entire life. Coming-of-Age Party: Whether your daughter is having a Quinceañera , a first communion, or a sweet-16 party, give her a beautiful jewelry box to commemorate the event. An attractive, customized jewelry box will show her that you love her and that you recognize she is becoming a young woman. At Chasing Treasure, we offer jewelry boxes in several price points that feature customization that are perfect for teens to use to protect their newest pieces of jewelry. Going Away Present: When our loved ones leave us, one of the best ways to say goodbye is with a memorable gift. Regardless of the age of your loved one, a jewelry box or treasure box is memorable gift that shows how much you care. At Chasing Treasure, we have jewelry boxes for men and women as well as children. We also offer intricately detailed trinket boxes that are easy to pack and can be filled with equally loved little treasures. You can even use the trinket boxes as the wrapping for the gift that you place on the inside. Baby Shower Gifts: At most baby showers, the baby is the focus of the gifts. But, it is important to remember that the mother also deserves recognition for all of the hard work that she does. A special gift that new mothers will appreciate is an elegant jewelry box that she can use to keep all of the treasures that she gathers as a mother. Over the years, jewelry boxes have held new baby rings, locks of hair, and other special memories that mothers want to keep. Why not start a tradition with the new mothers in your life? A special jewelry box from Chasing Treasure is a gift that can last for several generations.